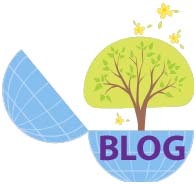 Once again blogger extraordinaire, Jill aka Geniaus, has challenged us to think about our blogging practice, and especially the use of hyperlinks. I only read Jill’s post about hyperlinking a few days ago and I’ve been reflecting on my practice ever since. So what are my strategies – always assuming I’m not rushing, or distracted, and forget. If I mention something about another person’s post I’ll link the actual story, after all that story is their copyright property and I’m recommending it to the reader as something useful or interesting, or both, to read. If it’s a comment about a blogger or website in general, I link to their overall blog page or website. What to do with an example as above? If I’m going to mention Geniaus closely followed by a specific reference which will take you to the same site, I don’t link twice….it seems repetitious, but in this case I’ve linked to the post, and to Jill’s Google+ page. This is not unlike using footnotes in a written document, though these may still be necessary in some cases. Sometimes I want the reader to be able to see an image I found but it’s copyrighted. One way to deal with this is to hyperlink to the page where I found it. A good example is the gravestones on the Australian Cemeteries Index pages, which refer to East Clare people I’m talking about in my posts. We all know our readers join us over time. Sometimes it’s worth referring to an earlier post which the reader may not have seen when it was published or have forgotten (just imagine!). Or you may have more than one blog and want to cross-refer to a story. I’m sure I’m as guilty as the next person of occasionally taking some phrases for granted, but I do try to link to the more peculiar ones. Of course Aussies grow up watching American and British TV programs so we understand a variety of expressions. But who would have thought that “boiled sweets” would have caused as much confusion as it did in Susan’s post about her father on her Family History Fun blog? Strangely I’m a little more ambivalent about this. Sometimes it’s useful to hyperlink if there’s a particular aspect of a place that could be clarified by the link eg Charters Tower’s mining history. In other cases I’m not sure it’s necessary. If I don’t know where Chicago is, or much about it, it may not affect how I appreciate Kristin’s family stories on Finding Eliza. On the other hand, perhaps I should be linking to information about specific places in my East Clare blog – or get permission to use a map which shows East Clare and its key towns. I think I’ll use the relevant Clare Library page for the parish, eg O’Brien’s Bridge, as it lists all available resources on their site. Thank heavens I don’t have too many posts which need additions. How do you think about linking in your blog posts? Geniaus has been at it again and has set us a challenge to honour the National Year of Reading. Have you written any books? 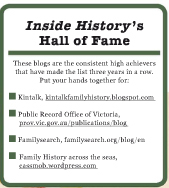 My family history: Grassroots Queenslanders: the Kunkel family published in 2003. Have another up my sleeve. Have you published any books? Yes I self-published the above book. Can you recommend an inspiring biography? Robert Dunne, Archbishop of Brisbane by Neil J Byrne was interesting to me because of its relevance to my family history. Life Class, the education of a biographer by Brenda Nial was very engaging. I’ve been going to read the biography of Sir William Deane but haven’t got to it yet. Do you keep a reading log? If yes, in what format? Sort, of. I have a list of my books on LibraryThing and also on Collectorz. I can also check my borrowing list from the Palmerston Library any time I want. But this is all recent….we’ve disposed of many books so I’d struggle to remember. Perhaps something I’d like to keep up with in the future. Are you a buyer or a borrower of books? I’ve always been a buyer of far more books than I should but I also borrow a lot either from the Council library or on inter-library loan from the National Library of Australia –depends what it is. Where do you get reading recommendations? Bibliographies, blog comments, newspaper reviews, personal recommendations. What is the ONE genealogy reference book you can’t do without? Just one??? I look at my shelves and I don’t think I can pick just one…it depends what research I’m doing. Okay, my huge German dictionary may have to be my “just one”. Do you hoard books or do you discard them when you have finished? Both! I’ve been a hoarder of books all my life – used to envy anyone with full bookcases. With run-of-the mill stuff we discard them after they’ve done the rounds of family and friends and we’ve re-read them. How many books are in your genealogy library? LOTS – Three full bookcases. What’s your favourite genealogy magazine or journal? I find I don’t read magazines much anymore. I don’t have one specific favourite journal. My blog reading has taken over. Where are the bookshelves in your house? Everywhere. Do you read e-books? How? Yes, I read them either on the Kindle or ipad. How many library cards do you have? NT x 3, SLQ, NSW, NLA plus society library cards and overseas cards for travelling. What was the last genealogy title you read? Part way through Behind the plough: agrarian society in 19th century Hertfordshire. What is your favourite bookshop? Living in Darwin I have to say Amazon or Booktopia. Do you have a traditional printed encyclopaedia in your house? No, never have had..our refrain was always “look it up in the dictionary” –or the relevant book. 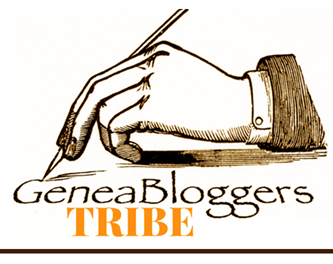 Who are the authors in your family tree and what have they written? There are a couple of PhDs in my family tree, one who is well-published in the field of Japanese-Australian economics. I haven’t come across any distant ancestors who were authors which is a great shame. Who is your favourite author? I have runs of favourites and read them until I tire of them. I love Bill Bryson’s take on travel with amusing descriptions of Darwin. Geraldine Brooks would probably also feature though I still have some of hers to read. Helene Hanff’s 84 Charing Cross Rd. Where do you buy books? Mostly online these days. Can you nominate a must-read fiction title? Far too many fact or faction. Perhaps The House by the Thames by Gillian Tindall (excellent though very much fact/ion), Walter Macken’s The Silent People which was a fictional account of the Famine; Geraldine Brooks People of the Book. How many books are in your personal library? Collectorz tells me I’ve now got over 800 in my library. Many others sold off or donated over the years. What is your dictionary of choice? Oxford. Where do you read? Indoors/outdoors/bed/lounge/anywhere. Do you have anything else to say about books and reading? Do it as much as possible and start kids young! Our two-year old grandson already insists on a book to take to afternoon nap time. Geniaus has amended an earlier meme from Becky in May 2009 over at Kinexxions. Geniaus thought it was time to dinkumise it (ie make it ridgey-didge or pure Aussie). This is the Australian version of this 99 Things Genealogy meme. My own feeling is that the National Archives in Washington (#68) escaped being dinkumised (or am I missing something?) and would prefer to substitute my addition #101. Visiting Salt Lake City is probably on everyone’s wish list wherever they live. This was fun, thanks Geniaus and Becky. No doubt each of us has things we regard as a top priority in our family history so I’ve been wayward and added #100, amended #92, and would love to substitute #101 for #65. Others would no doubt change other items but I guess that’s not the point of a meme. Things you have not done or found /don’t care to – (or that I know hasn’t happened in my family). Uploaded headstone pictures to Find-A-Grave or a similar site (Flickr). Served on the board or as an officer of a genealogy society (was on the organising committee of a genie conference). Got lost on the way to a cemetery. (It was Ireland after all). Was injured while on a genealogy excursion (using the rental car’s bonnet to climb over the spiked fence of an Irish cemetery and tearing one of my two pairs of trousers, and narrowly missing important body parts must surely count?). Created family history gift items: family histories of friends’ families for Christmas or birthday, as well as my own personal history for my children. Took a genealogy seminar cruise: if the fabulous speaker roll-out for November’s Unlock the Past cruise can’t tempt me, I’m not sure anything will. Found a disturbing family secret (see #84). Think genealogy is a passion obsession not a hobby. Been overwhelmed by available genealogy technology –sometimes it’s borderline but it’s a great way to learn. Know a cousin of the 4th degree or higher (hi Sheila!). Used Google+ for genealogy (have only just got on Google+). Traced ancestors back to the 16th Century (almost there). Can name all of your great-great-grandparents (I got in a muddle with this originally -it’s my 3 x greats that are AWOL, mostly Irish). Found ancestors on the Australian Electoral Rolls: Commonwealth and State. Have found many relevant and unexpected articles on Trove to “put flesh on the bones”. Have an ancestor who fought on Gallipoli: need my husband’s family for this one, mine were on the Western Front in WWI. 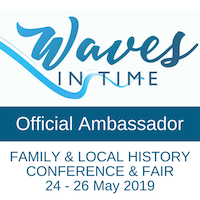 Was overwhelmed by the amount of family information received from someone: two hundred years of family geneaogy in one email from Germany – after years of hunting. Have broken through at least one brick wall (but someone keeps putting up more). Done genealogy research at the War Memorial in Canberra (pre-digitisation). Borrowed microfilm from the Family History Library through a local Family History Centre(s) (I love the diverse records that are available). Have an ancestor who served in the Boer War: can I count my husband’s relation? Use maps in my genealogy research (how can one not?). Have a convict exile I research who was transported from the UK. He shares a name with my ancestor and in the same area of Queensland so needed to unravel them. Found a bigamist amongst my ancestor’s wives (note, he was not the bigamist). Made a rubbing of Restored an ancestor’s gravestone (this seemed a more productive and long-term solution). Published a family history book (on one of my families) and in-family histories on others. Learned of a death of a fairly close family relative through research: I’m not really sure what’s meant by this one but I learned of my great-grandmother’s harrowing death through research. Offended a family member with my research: I suspect they didn’t like the research I found about their branch, but not entirely sure as they’re no longer talking to me and they didn’t come to the reunion. Edited records on Trove. (ages ago – must do more). Used Archives in countries where my ancestors originated. (my replacement for #65).